Accommodations in centrally-located three-star or four-star hotels. Rooming on a triple basis. Inside cabins on Days 2, 3, 4, 5, 6, 7 and 8 aboard ship. Double rooms: $600 per person. All breakfasts. Six lunches. All dinners. Dinner aboard cruise ship on Days 2, 3, 4, 5, 6, 7 and 8. 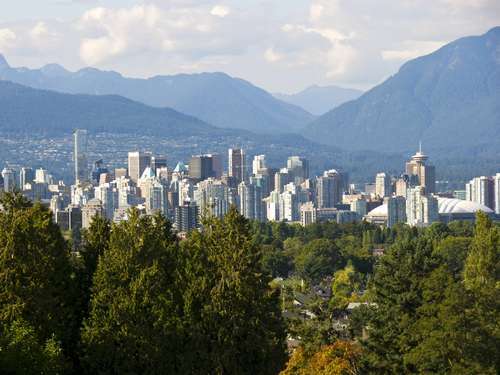 Board your flight bound for the largest city in British Columbia, the gateway to the Canadian Rockies, which is also known as the "Gem of the Pacific." 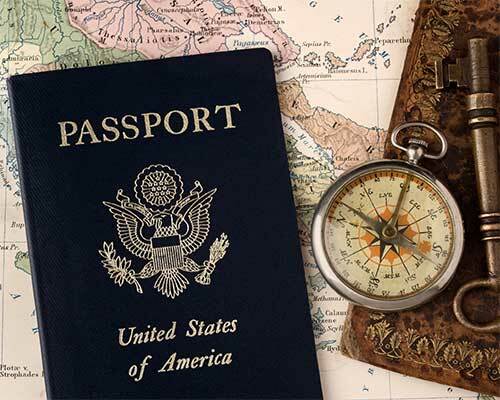 Upon arrival, transfer to your hotel and have the remainder of the day to explore the city at your leisure. Board your cruise ship, then relax and get acquainted with your new "home." Your cruise begins. Watch Vancouver's skyline fade from view and enjoy shipboard festivities throughout the evening. 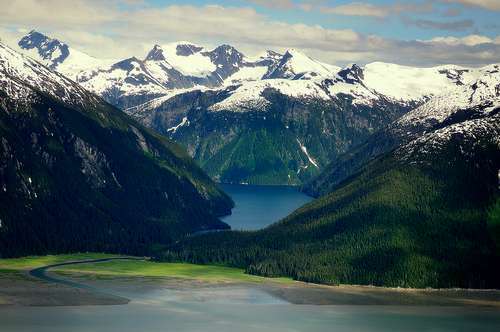 Spend this day aboard the cruise ship, spellbound by the beauty of the Inside Passage. You'll pass quiet bays, wooded islands, innumerable mountains and waterfalls cascading from granite cliffs. This panorama is interrupted only by the sightings of whales and sea lions frolicking in the waters around you. Ketchikan, the southernmost port on the Inside Passage, is referred to as the "Salmon Capital of the World". This region attracts many visitors with the lure of Tlingit totems. Indeed, the native presence in Ketchikan remains strongly interwoven in the culture and commerce of this town. Consider an optional shore to Misty Fjords National Monument, America's newest national monument. Your cruise ship continues through Icy Strait Point which is located near the city of Hoonah, and very near Glacier Bay National Park. The port is home to a historic cannery, and it's connection to the sea is strong. Locals share the sea with humpback whales, orcas, porpoises, seals, sea otters, halibut and all five species of Pacific salmon. Enjoy such stunning sights as emerald green islands, sparkling glaciers and a coastline that features the most majestic of mountains as you sail through the Inside Passage. 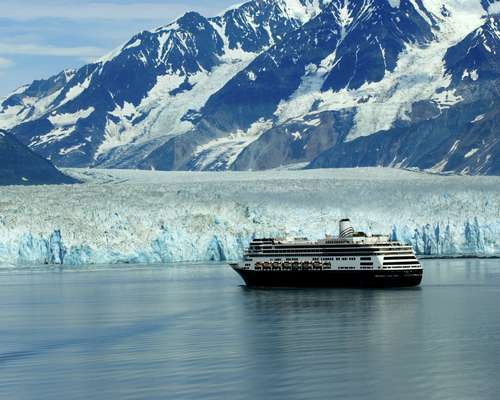 You'll cruise either along the Endicott Arm or along the Tracy Arm, depending upon weather conditions. 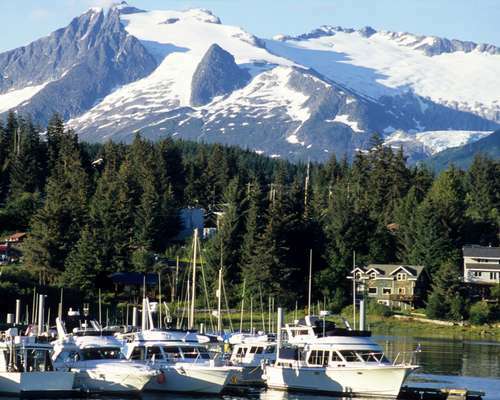 Today's port-of-call is Alaska's scenic capital, Juneau. Consider an optional excursion to the Mendenhall Glacier, one of the world's most photographed glaciers. Your ship enters the Lynn Canal, one of the world's deepest fjords, which connects Juneau and Skagway. See magnificent vistas of green forests filled with abundant wildlife. Stop at the picturesque gold rush town of Skagway, where the main streets are lined with faux-fronted buildings. Consider an optional shore excursion to the summit of the nearly 3,000-foot-high White Pass, a famous landmark on the Klondike Gold Rush Trail. 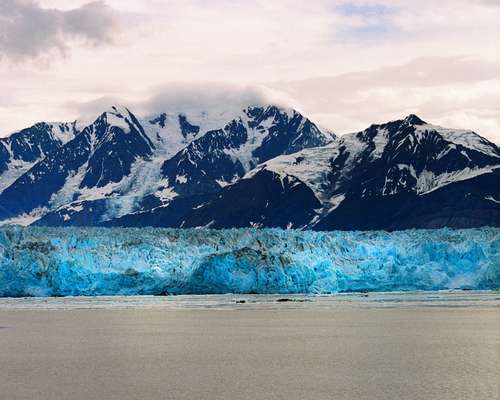 Discover the longest river of ice in North America, the Hubbard Glacier. This is also one of Alaska's most active glaciers. Have your camera ready as you admire this massive natural wonder and some of its 1,350 square miles of blue ice. Enjoy breakfast aboard ship before you disembark at the scenic fishing port of Seward. Transfer by motorcoach to Anchorage. Board your return flight, if you didn't choose to extend your Alaska stay with a visit to Denali Park. Please note that there may be an overnight flight on this itinerary, with arrival at your destination city on the day after your flight departs.